Essentially, a webcam is a video camera, that works as an input device for computers. It captures either still pictures or motion videos of users, which can then be uploaded or streamed via the internet. Today, most laptops come with a built-in webcam, embedded into the display. 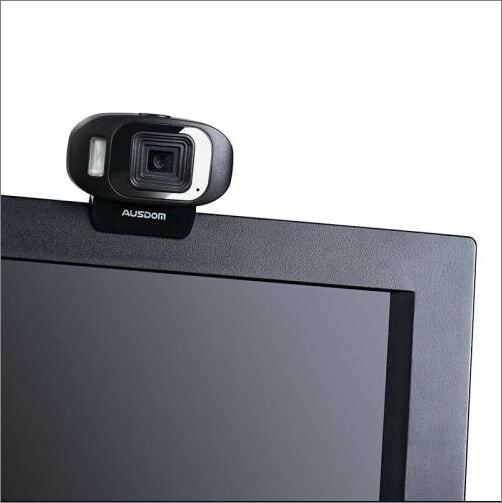 Other webcams are small cameras that either attach to a monitor or sit on a desk and connect to a computer’s USB or FireWire port. Unlike a traditional digital camera, a webcam doesn’t have any built-in storage. Rather a webcam must always be connected to a computer, which it uses for storage. In this buyer’s guide, we will introduce the 10 best webcams for your PC or Mac based on your budget and needs. Learn more details about how to record, edit, and produce high quality webcam videos. Still, in 2018, the Logitech C920 is the best overall webcam for streaming. Connect with your friends in Full HD 1080p on Skype, or in 720p on FaceTime for Macs. Full HD recording is made possible by Logitech’s advanced compression tech, H.264. It eradicates time-consuming compression to speed-up uploads and reduces the demand on your processor. The five-element glass lens captures real-to-life images, while the autofocus feature adjusts to provide a consistent high definition. Great value at $51! 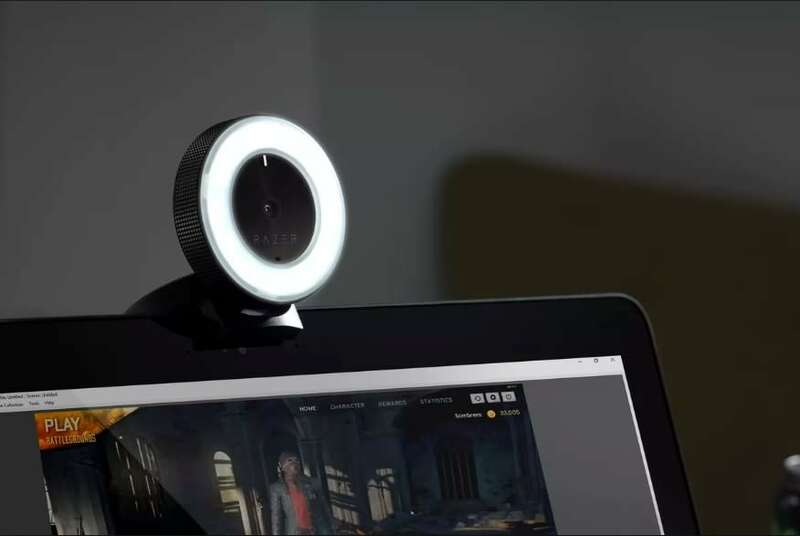 If you want something cheap and cheerful for Skype or Messenger, then Microsoft's LifeCam range offers good performance at a low price. It records and streams 720p HD video and accommodates recording in 16:9 widescreen. The TrueColor tech automatically delivers bright videos in all lighting conditions. Its unidirectional microphone has automatic acoustic noise-cancellation and its universal attachment base makes it compatible with desktops, laptops and notebooks. At just $25, it is the best budget webcam on this list and an ideal entry-level webcam. If you want a full HD webcam without the full HD webcam price, this camera is for you. The 1080p HD camera can capture video in the best resolution, ideal for Skype. It also has a noise-cancelling microphone and low-light compensation. Although, there’s no autofocus and you don’t get much other software. However, the USB 3.0/USB 2.0 Connector gives it straightforward plug-and-play capabilities. We love how easy this webcam has been made to use, and the low-price makes up for any shortcomings. Logitech has the most options of any manufacturer, essentially selling a webcam at each $10 interval. 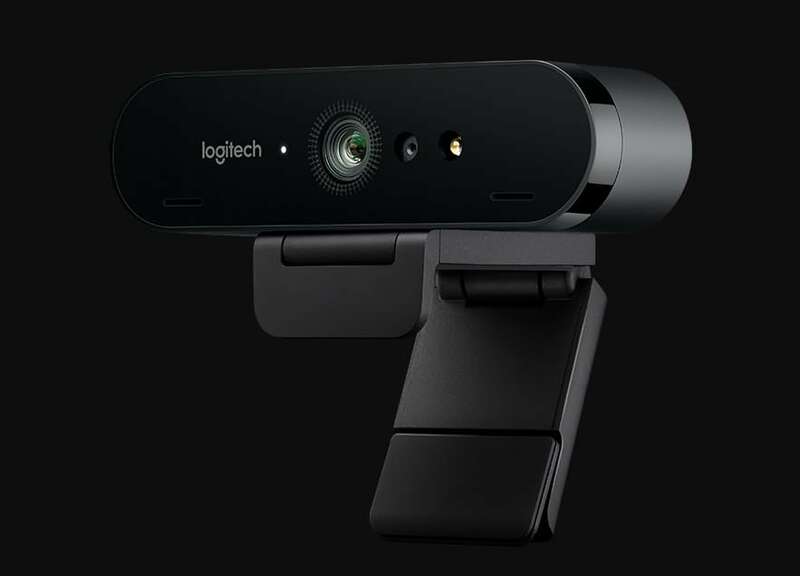 If you’re a business type or an active Skype user, but you’re trying to spend as little as possible, you might want to check out the Logitech C270 instead of the Microsoft LifeCam. Enjoy HD 720p video calling with Skype, Google Hangouts, Zoom and other popular instant messaging applications. You can snap straightforward 3-megapixel pictures and features Logitech’s Fluid Crystal Tech. If you are an avid gamer, the Logitech C615 offers the best image quality available for under $50. You can record HD 1080p videos and video chat in widescreen HD 720p, making streaming game feeds easy. It has a 360-degree full range of motion, premium auto-focus and features Logitech’s Fluid Crystal Tech. If you’re gaming on the go its fold-and-go design, short USB cable and its light .55-pound weight make it easy to take your webcam with you. However, for just $10 more you can get the C920, which is a better camera even without the fold-and-go design. With 1526p Full HD resolution, compatible up to 2048x1536 resolutions, and 30 FPS this webcam has outstanding video quality for its price. The Full HD Carl Zeiss standard 6 element optical glass lens further enhances the images, while the advanced H.264 video compression tech gives your videos fast, smooth uploads without disrupting your Internet connection. This plug-and-play full HD camera is compatible with all Windows or Mac computers and supports Chrome OS and TV Box Android 5.0. It also works well with OBS studio for YouTube or Twitch streaming. This camera would be a fantastic choice for video marketers! The Senz3D is more than just a webcam. With the integration of Intel’s RealSense capabilities and FastAccess 3D, this is the webcam of the future. The camera can integrate with Windows Hello for hands-free login. The 3D gesture controls and face sensing open new possibilities for game development for both professionals and amateurs alike. The effortless background removal tech and fantastic noise-cancellation microphone will also make this a favourite for gamers. The camera works on all platforms; however, it is debatable how much of the new features most gamers will be using. The Logitech 4K Pro was the world’s first 4K webcam. This camera is perfect for pro-gamers, allowing them to produce professional-quality videos. The 4K Pro is packed with other features such as RightLight tech with HDR for recording in low-light environments, infrared facial recognition and 5x digital zoom. Unfortunately, unlike the C920 the 4K Pro’s clip doesn’t hold tight to the display. However, if you can compromise with that, then the 4K Pro streams some of the highest quality videos you’ll find right now if you have the software to support 4K! This webcam was designed by the Livestream team and allows you to stream from anywhere to Livestream, Vimeo, Periscope, YouTube, Facebook Live and Twitter via Wi-Fi or LTE. The Mevo is small enough to fit in your pocket, yet it delivers a premium streaming experience with 2160p 4K recording. Mevo’s Live Editing Suite allows you to tap to cut, pinch to zoom or swipe to pan. Alternatively, you can enable autopilot and let Mevo’s AI edit the videos for you. For aspiring multimedia journalists, the Mevo is like having a portable TV studio! The Kiyo is an innovative camera focussed on streaming. Razer is very popular with gamers and for this camera, Razer has stripped away all the unnecessary features that higher-end webcams claim and focus on good image quality and lighting with their special Light Ring. Their Light Ring is a new feature, with twelve white LED lights surrounding the lens. It can shoot 60 FPS at 720p and 30 FPS at Full HD 1080p. The camera it also comes with built-in support for Xsplit and OBS making it ideal for gamers. 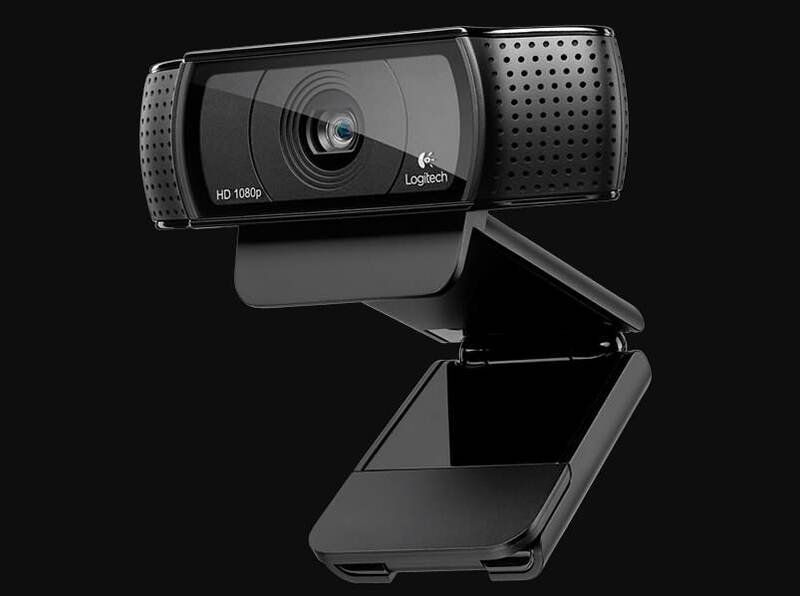 So, if you are looking for the best all-around webcam then the Logitech C920 is still the best on the market. It provides good performance at an excellent price. 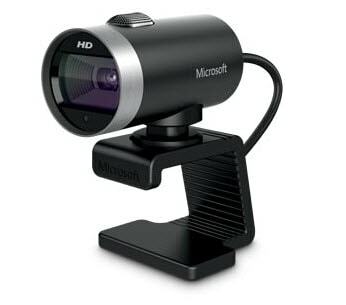 If you are looking for something a bit cheaper than the Microsoft LifeCam is the best webcam for PC and the Logitech C270 is the best for mac. For the professionals, the Creative Labs Senz3D is the most exclusive webcam, the Logitech 4K pro is the best HD webcam and the Mevo is the most portable. Besides the best webcam, you may also need a recording software that allows you to record the screen/gameplay and the webcam at the same time. In this case, we do recommend you to record with Filmora Scrn. Check the video below about how to record screen and webcam video with Filmora Scrn.